This carrying case for the Crain No. 001 Model "A" Tile Cutter features an easy-to-carry, streamlined design that also saves space. The interior is custom-formed to the shape of the cutter to support and protect the tool in transit. The two durable metal latches close the case tightly. Also includes large carrying handle that is recessed to prevent breakage, and two durable piano-type hinges that are connected by steel pins. Includes case only. Net weight: 13 1/2 lbs. This 75 lb. roller has an all-steel frame and zinc-plated roller sections for long term performance. The roller sections have smooth surfaces and rounded corners to reduce scratching and indentation of the vinyl. The outer sections are counterbored to provide recesses for the axle fasteners and prevent damage to walls. The three sections float independently on the axle to compensate for subfloor irregularities. Also comes with a protective case with wheels for transporting the roller that eliminates hand-carrying and picking up debris on the sections. Sections diameter: 4 1/2". Width: 16". Height: 38". Net weight: 75 lbs. This protective case holds 75 or 100 lb. vinyl rollers and includes wheels to transport the roller from the van onto the jobsite. It eliminates hand-carrying of the roller and picking up debris on the sections that occurs if the roller sections contact the ground. The case stands on its own, and has two large handles on top for lifting when necessary. Two durable metal latches securely hold the case closed. Also holds Roberts and Gundlach rollers. U.S. Patents #7,188,724 B1 and #7,571,806. Net weight: 8 lbs. This hand roller for vinyl includes three rubber rollers with just the right hardness to produce pressure on the vinyl without scratching and scuffing. The three rollers roll a 7 ½" wide section of vinyl on each pass. The axle and fasteners are recessed within the outer sections to allow the tool to work close to the wall. The raised aluminum handle has a large flat section for applying palm pressure. The twist-lock tube assembly adjusts handle length from 17" minimum to 27" maximum. Net weight: 3 lbs. This hand roller for rolling vinyl at seams and other areas has a square edge solid steel roller and shorter six inch varnished wooden handle. The square edge on this roller and the offset, single arm bracket allow it to work up close to walls. The roller face has an ultra-smooth, zinc-plated surface finish to minimize scratching and indentations. Ball bearing construction produces a smooth rolling action that is designed to last. Net weight: 2 lbs. This hand roller for rolling vinyl at seams and other areas has a round edge solid steel roller and longer nine inch varnished wooden handle. The round edge on this roller allows it to work up close to vinyl flash coving, where a square edge roller can't go. The roller face has an ultra-smooth, zinc-plated surface finish to minimize scratching and indentations. Ball bearing construction produces a smooth rolling action that is designed to last. Net weight: 2 lbs. This hand roller for rolling vinyl at seams and other areas has a round edge solid steel roller and shorter six inch varnished wooden handle. The round edge on this roller allows it to work up close to vinyl flash coving, where a square edge roller can't go. The roller face has an ultra-smooth, zinc-plated surface finish to minimize scratching and indentations. Ball bearing construction produces a smooth rolling action that is designed to last. Net weight: 2 lbs. These dividers are designed for the scribing needs of sheet vinyl installers. The rounded body fits comfortably in the user's hand. Includes a bent leg and a removable straight leg that can span up to six inches. Legs are adjusted using the folding thumbscrew. The bent leg offsets the tool from the wall for easier wall scribing. The straight leg can be removed and used for pencil scribing using the knurled steel thumb nut. Both legs have knurled steel caps to hold replacement needles (No. 129). Net weight: 2 oz. This is a pack of two replacement needles for the No. 310 Dividers. These needles are approximately 7/8" long, 0.060" in diameter, and have a sharp point for scribing. These needles press fit into precisely formed holes in either leg of the No. 310 Dividers. Net weight: .01 lb. The No. 129 needles are a pack of 50 replacement needles which can be used on most all Crain dividers and scribers except the No. 194 Outside Corner Scriber. They are .063" in diameter, 7/8" In length, and have a sharp point. These needles can be used on the following Crain dividers and scribers: No. 109 Pin Vise, No. 110 Inside Cove Corner Kit, No. 111 6" Scriber, No. 112 8" Scriber, No. 188 Hinge Scriber, No. 240 Bar Scriber, No. 355 Bent-Leg Lino Divider, No. 380 Deluxe Dividers, No. 382 Double Needle Dividers. Net weight: 1 oz. per pack. This scriber has a knurled two part brass thumb knob for all necessary adjustments, with no screwdriver required. The top portion adjusts the pin height based on the material thickness, and the bottom portion sets the offset distance between the needle and the guide that is being used. Includes a rounded end guide for wall scribing and a bottom guide for seam scribing that runs along the edge of the bottom piece of material as the top piece is being scribed. The steel tool body provides approximately a two inch range of offset adjustment. Needles are replaceable (No. 371). Net weight: 3 oz. This tool accurately scribes longer widths from 2" to 16". It has a knurled two part brass thumb knob for all necessary adjustments, with no screwdriver required. The top portion adjusts the pin height based on the material thickness, and the bottom portion sets the offset distance between the needle and the guide that is being used. Includes a rounded end guide for walls and a bottom guide for seam scribing that runs along the edge of the bottom piece of material as the top piece is being scribed. Needles are replaceable (No. 371). Net weight: 4 oz. Includes one each replacement needle for use in either the No. 370 Recess Scriber or the No. 372 18" Scribing Tool. The needle diameter is approximately 0.060". The needle length is 1 1/2 inches. The needle is sharp on one end for scribing. Net weight: .01 lb. The hinge scriber is a sheet vinyl seam scriber designed for accuracy, ease of adjustment, and for good grip and control. The offset distance between the bottom guide and the needle is adjusted using a precision thumbwheel. Once adjusted, the three arm knob locks the needle in position. The hinged base allows the tool to be more easily inserted at the seam, particularly on thick material. With the hinge folded open, insert the base under the material on top and hook the guide on the edge of the material underneath. Fold the hinge back and the needle is positioned on the top piece of material and ready to scribe. Needle height is adjustable for different thicknesses of vinyl. Range of offset adjustment: 11/32". Replacement needles: No. 129. Net weight: 4 oz. This versatile 6" bar scriber works both as a wall scriber and a seam scriber. The tool has a rounded end guide for wall scribing, and a bottom guide for seam scribing that runs along the edge of the bottom piece of material as the top piece is being scribed. The 6" bar allows approximately 5" of length adjustment using the large steel thumbscrew. Needle height is adjustable for various material thicknesses using a screw on the front of the bar. Needles are replaceable (No. 129). Net weight: 4 oz. This versatile 8" bar scriber works both as a wall scriber and a seam scriber. The tool has a rounded end guide for wall scribing, and a bottom guide for seam scribing that runs along the edge of the bottom piece of material as the top piece is being scribed. In addition, the red housing has a hole in its bottom for a second needle which allows the tool to scribe circles or feature strips. The 8" bar allows approximately 6" of length adjustment using the large steel thumbscrew. Needle height is adjustable for various material thicknesses using a screw in the front of the bar. Needles are replaceable (No. 129). Net weight: 8 oz. This kit for scribing inside corner patterns comes with a specialized cove scriber, a cove template, a pin vise, and detailed instructions. The cove scriber is used to scribe lines on the felt for positioning the cove template. The cove template is used for scribing the inside cove pattern onto the vinyl. Afterwards, the cove scriber can also be used to scribe the top edge onto the vinyl to fit the cap metal. Produces a cove to 3 3/8" standard height, but is adjustable for greater height if needed. The cove scriber and pin vise take Crain No. 129 needles. Net weight: 8 oz. This pin vise is used for miscellaneous pattern layout scribing for sheet vinyl installation or making score lines on vinyl tile. The 5 ¾" long handle has a precision chuck and screw-on cap on its end for holding the replaceable needles. The tool takes standard Crain No. 129 Scriber Needles. Net weight: 1 oz. This precision outside corner scriber for use in forming outside corners on sheet vinyl, rubber base, and vinyl base. It scribes a line on the side of the corner that remains to be trimmed, using the opposite previously trimmed side as a guide. The guide leg has a rounded end for following the contour without scratching. The guide leg is adjustable in relation to the needle to compensate for various material thicknesses, and is held in place by a knurled steel fastener. The needle height is also adjustable for various material thicknesses. The scribing needles are replaceable (No. 128). Net weight: 1 oz. These high carbon steel needles have an .058" outside diameter and 9/16" length, and include a sharp point. They are smaller needles used in the No. 194 Outside Corner Scriber ONLY as far as Crain tools are concerned. They come packaged fifty needles per container in a durable plastic container with a lid that snaps closed for storage. Net weight: 1 oz. per pack. This tool tracks in the seamline to cut a trapezoidal groove for welding. It maintains consistent grooving depth even when floors are not level, up to 1/8" of variation over one foot of seamline. The floor following wheel rides on the floor to raise or lower the blade in response to variation. A spring-loaded floor following dust shroud improves dust control. Includes a 12 tooth 130mm carbide-tipped blade (No. 971), and carrying case. Diamond grit blade for metal-impregnated safety floors is sold separately (No. 972). 110VAC 9A No load RPM 12,000. Max. groove depth 3.5mm. Net weight: 20.5 lbs. This is a replacement carbide tipped blade for the Crain No. 970 Power Groover. It is a 12 tooth 130 mm diameter blade which can also be used on other groovers that take this size blade. It cuts a trapezoidal shaped groove in the material. It is not for use on metal impregnated safety floors. This blade is resharpenable. For safety floors, see the No. 972 Diamond Groover Blade. Net weight: 8 oz. This is a heavy grit diamond abrasive cutting blade for metal impregnated safety floors. It has continuous diamond grit brazed on its entire outside diameter. Its 130 mm diameter works on other groovers that take this size blade. It produces an approximately 3.4 mm wide groove. Diamond wear affects width and depth of cut. Net weight 1 lb. 1 oz. This heat welding gun comes with a Leister Triac ST heat gun for consistent and reliable heat output. A single dial on the back controls output temperature from 104° - 1290°F. The standard 11/4" outlet fits a variety of nozzles. Also includes a pencil tip nozzle (No. 963), triangular speed welding tip for triangular or "half moon" rod (No. 961), round speed welding tip for round rod (No. 962), and carrying case. Net weight: 7 lbs. This triangular speed welding tip for the Crain No. 960 Heat Weld Gun is for welding seams using triangular or "half-moon" ("half-round') welding rod. The air outlet is precisely formed to focus hot air over the seam area and minimize scorching. This tip has a standard sized inlet diameter that fits the pencil tip nozzle outlet of most other popular heat weld guns. Net weight: 1 oz. This round speed tip for the Crain No. 960 Heat Weld Gun is for welding seams using round 4 mm welding rod. The air outlet is precisely formed to focus hot air over the seam area and minimize scorching. This tip has a standard sized inlet diameter that fits the pencil tip nozzle outlet of most other popular heat weld guns. Net weight: 1 oz. This versatile tip works with 3 mm or 5 mm round welding rod, "half-moon" ("half-round") welding rod, or triangular welding rod. It has an adjusting screw at the rod inlet to adapt the inlet to the various rod shapes. The grooved brass pressure roller is also adaptable to the various rod shapes. The hot air inlet is sized to fit the Crain No. 960 Heat Weld Gun or previous model No. 980 Heat Weld Gun, as well as other popular models of heat weld guns. Net weight: 4 oz. The pencil tip nozzle adapts our No. 960 Heat Weld Gun to our No. 961 Triangular Welding Tip, No. 962 Round Welding Tip, No. 963 Pencil-Tip Nozzle, or No. 979 Universal Welding Tip. The angled outlet is convenient for holding the heat gun and keeping the speed tip in contact with the welding rod. This nozzle is also for welding coved areas in conjunction with a pressure roller (No. 967). This nozzle has a standard diameter inlet that fits most popular heat weld guns, and a standard diameter outlet that fits most popular speed tips. Net weight: 3 oz. This hand groover cuts a U-shaped groove at the seam line for welding. It used for starter grooves near the wall for insertion of a power groover, for making grooves in tight areas like doorways, or wherever floors are not level. It is designed to groove by pulling on the large wooden handle. The adjustable fin guides the U-shaped blade along the seam line and controls the grooving depth. The depth control prevents gouging and rising up of the blade. The result is a uniform groove at a faster rate. Comes with 3 blades, one pre-loaded on the tool, and two stored in the handle. Net weight: 6 oz. This knife is used to trim excess welding rod from the seam area after cooling to make the seam area flush with the rest of the floor. It is used in a two-step process in conjunction with the No. 986 Trim Guide. First, insert the trim guide beneath the knife and trim off the bulk of the material on a first pass. Afterwards, remove the trim guide and make a second pass with the knife only. The fine cut of the second pass finishes flush with the surrounding floor. The knife comes with a protective pouch. Blade is resharpenable. Trim guide not included. Net weight: 2 oz. This steel depth control guide is used with the No. 985 Quarter Moon Knife in a two-step trimming process that removes excess welding rod from the seam area after cooling. First, insert the trim guide beneath the knife and trim off the bulk of the material on a first pass. Afterwards, the trim guide is removed and a second pass is made with the knife only. No knife is included with this guide. Net weight: 1 oz. This kit includes the basic tools needed for vinyl welding, all at a great price! It includes: No. 969 Head Weld Gun (including a Leister Triac ST heat gun, No. 963 Pencil Tip Nozzle, No. 961 Triangular Welding Tip, and the No. 962 Round Welding Tip), No. 968 Floor Following Power Groover, No. 955 Pull Hand Groover, No. 965 Skiving Knife w/Blade, No. 340 Selvage Trimmer, No. 370 Recess Scriber, No. 189 Hook Handle Utility Knife, and stainless steel cleaning brushes. Comes complete with a metal carrying case that holds all the tools in the kit. This knife for trimming excess heat welding rod at the seam comes with a sharp, flexible blade that is replaceable and a built-in pivoting trim guide, all in one tool. Eliminates difficult resharpening and gouging problems with quarter moon knives. Uses a two-step process for trimming. On the first pass, trim with the guide under the blade to remove the bulk of the material, then pivot the trim guide out of the way on the second pass. The flexible blade won't gouge high spots. Net weight: 7 oz. This tool is used to weld seams in areas where a speed tip does not work well such as at coved areas. The welding rod is threaded through the hollow handle and put under the brass pressure roller. The pressure roller has a groove for guiding and pressuring the welding rod into the cove seam area. As the roller presses and holds the rod, a heat gun with pencil-tip nozzle welds it in place. Net weight: 2 oz. This resharpenable combination knife includes a long hook edge on one side and a deep hook edge on the other. The long hook edge has a sharp point and works well for precision cuts, particularly in following a previously scored line. The deep hook edge works well for long rough cuts in sheetgoods. The edges are pre-sharpened to an extreme sharpness. The blade is made from a special high carbon steel that holds an edge longer and is easily resharpenable. The contoured wood handle fits well in the hand and permits a strong grip. Net weight: 4 oz. This utility blade knife has many added contours to provide improved grip and greater pulling power. Works especially well with hook blades on tough vinyl. The wide contoured midsection transitions to a narrow rear hook in proportion to the palm and fingers. The rear hook gives the little finger improved advantage for greater pulling power. 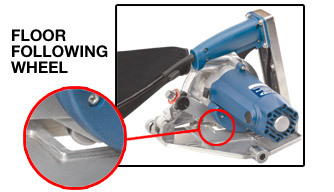 The body pivots open by loosening the folding thumbscrew for fast access to replacement blades. The precision blade holder holds the blade tightly even at extended length. Blades: No. 295 (utility) or No. 996 (hook). No blades are included with this knife. Net weight: 4 oz. This utility or hook blade knife has a hinged body that opens rapidly using a large thumbwheel in the center of the body. The body can be opened by rolling the wheel across a surface for access to blade storage. The knife is contoured for enhanced grip, and has a precision blade holder that holds blades tight even at extended length. The knife comes with a plastic carrier that fits inside a pocket. Blades: No. 295 (utility) or No. 996 (hook). No blades are included with this knife. Net weight: 4 oz. This classic utility or hook blade knife has a knurled body for solid grip. Designed with a compact profile and precision blade carrier for making detailed cuts in sheet vinyl materials. Pivots open quickly for blade storage using the folding thumbscrew. Takes hook or utility blades. Blades: No. 295 (utility) or No. 996 (hook). No blades are included with this knife. Net weight: 4 oz. The Gundlach No. 6 Airway Knife holds specialized blades for vinyl installation. The Crain No. 025A Airway Straight (Gundlach No. 25-AB) and Crain No. 026A Airway Hook (Gundlach No. 26-AB) blades are used with this knife. Comes with one No. 025A straight blade. These blades have a square central cutout that fits on a square boss in the knife that eliminates blade wobble. The blade holder has a long neck and an optimal angle for making cuts in sheetgoods materials. The knife body has finger contours to enhance grip. The knife halves open for blade storage by loosening the case-hardened fastener. Net weight: 6 oz. The Gundlach No. 5 Ward Handle knife is a specialized sheetgoods installation knife that allows blades to be mounted at different angles depending on the material. Blades can be mounted at a steep angle for stiff commercial vinyls and thick linoleum, or at less steep angles for regular materials. Takes Crain No. 012 (Gundlach No. 12-WB) Standard Blades or No. 013 (Gundlach No. 13-WB) Heavy Blades. This knife can also take the Gundlach No. 26-AB Hook Blade with the blade screw passing through the square hole of this blade. Comes with one No. 012 Standard Blade. Net weight: 1/16 oz. This knife has a 2 1/2" deep hook blade that is ground especially for cutting linoleum. It is a permanent riveted blade and handle combination. (See the Crain No. 066 handle and No. 064 blade for the Dexter interchangeable handle and blade.) The blade of the No. 060 is made from high carbon steel, and is resharpenable. The wood handle is contoured for enhanced grip and has a dark varnished finish. This is the Dexter No. X752 1/2 (EDP No. 52140) Linoleum Knife. Net weight: 3 oz. This knife has a 2 1/2" deep hook blade that is ground especially for cutting vinyl. It is a permanent riveted blade and handle combination. (See the Crain No. 066 handle and No. 064 blade for the Dexter interchangeable handle and blade.) The blade of the No. 063 is made from high carbon steel, and is resharpenable. The wood handle is contoured for enhanced grip and has a dark varnished finish. This is the Dexter No. VX752 1/2 (EDP No. 52160) Vinyl Knife. Net weight: 3 oz. The No. 066 includes the Dexter No. 10-D handle only. It takes any of Dexter's threaded tang replacement blades including the Dexter VX752 1/2 D Replacement Vinyl Blade (Crain No. 064), or any of the others that are available. This handle has the same contour and dark varnished finish as Dexter's permanent handle and blade knives. It provides the convenience of replaceable blades with the same Dexter feel and quality. No blades are included with this handle. This is the Dexter No. 10-D (EDP No. 52010) Standard Handle. Net weight: 3 oz. This knife is one of the best available for vinyl installation. The angled blade holder puts the blade at an optimal angle for long cuts, and keeps the knuckles off the floor. It takes the specialty Dexter No. 072 Hook Blades that have an ultra-deep hook to cleanly cut felt back vinyl. It also takes standard utility and hook blades. The body has the classic contour of Dexter linoleum knives, and pivots open for blade storage by unscrewing the end cap. This is the Dexter No. 7 Custom Handle. Blades: No. 072 (Dexter No. 72-5 “V” Sharp Hook), No. 073 (Dexter No. 73-5 Heavy Duty Straight), No. 295 (standard utility) or No. 996 (standard hook). No blades are included with this knife. Net weight: 6 oz.